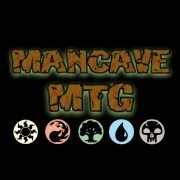 MancaveMTG had the most liked content! No rhys, because i tried to keep the list more budget friendly. What is it about lands? I think i might be the only mtg player here that doesn't care about lands hahaha. Don't get me wrong i appreciate the artwork. But, i really dont care what i use as long as my decks done. I more anticipate a play test more than anything. Thats just me though. More WOTC support for big box stores? Thats exactly why i said it was a double edged sword answer. I completely get it that not everyone has an lgs. Its just i feel maybe they should somehow track what cities have an lgs and which ones dont. And the ones that do they should limit the amount of stuff being sold at big box stores. Then the cities that dont have one should get whatever at the big stores. Thats just my thoughts though. I know this is a double edge sword answer. But i feel big box stores shouldnt even have wizards stuff. I mean an lgs needs obviously a brick and mortar PLUS needs proof that they have enough space for events. 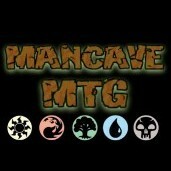 Big box stores dont hold events, so why are they allowed to sell mtg? I understand not everyone has an lgs which is probably how big bix got involved. I just dont get it as it hurts lgs to some degree. King of Jank and I talk magic and have some Q&A. My personal top 15 list of white 1 drop creatures. This video goes over numbers 15 down to 8. I played one game of fortnite, and i sucked pretty bad hahaha. I should have played ai first, but a buddy of mine wanted to play. Wish i could play some games with you guys! Im gonna dabble in some oldschool games here this weekend and stream. I think im gonna start with my childhood favorite streets of rage 2. I think persistance is key. The last reboot of my channel(4-5 months ago) i have found a lot of success. Being involved with not only subscribers, but other creators as well. Sharing ideas with each other and collaborating will help as well. If you ever want help on my end let me know! Like i tell people im an open book, and i definitely have no issues working with anyone. No matter the size of the other person involved. I just like talking mtg. 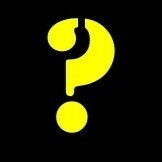 I dont know everything by any stretch, but i love talking about what i do know. Yes and no. I sideboard for my more competitive decks. But, sometimes i play those decks if i dont have a budget deck built. So i dont try to directly sideboard for kitchen play.